A timid man braves a rough and hostile environment, and loses more of himself than he dared. 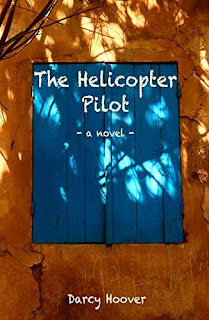 An experienced and accomplished helicopter pilot, Edward accepts a post well outside his comfort zone in remote Africa. Accustomed to the structured environment of the Western World, Edward finds himself amongst unapologetic cads and adventurers and waivers between his own anxious nature and emulating those that thrive in the unfamiliar. Caught between a world of reality and one imagined, Edward struggles, but with the help of Mike, a rambunctious and amicable bush pilot, Edward dances a fine line between jelly fish, native girls, jealousy, racism and helicopters. Hunted by the angry brother of a drunken lapse in judgement, impending riots and fear of STDs brings Edward’s stress to a boil. This is Edward’s struggle between his very nature, and the man he desires to be.